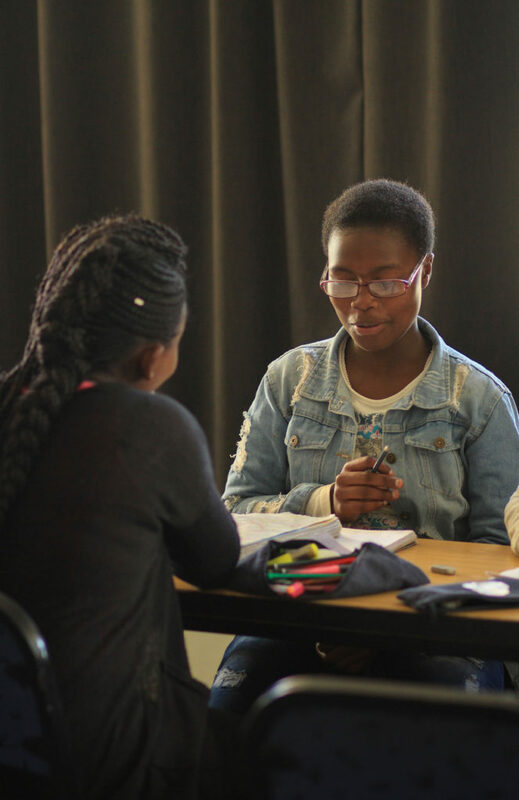 Ubuntu Knowledge is one of the many student volunteer programs available at Rhodes University. The Ubuntu Knowledge programme was started in 2006 by founders Hall in collaboration with the parent education programme. 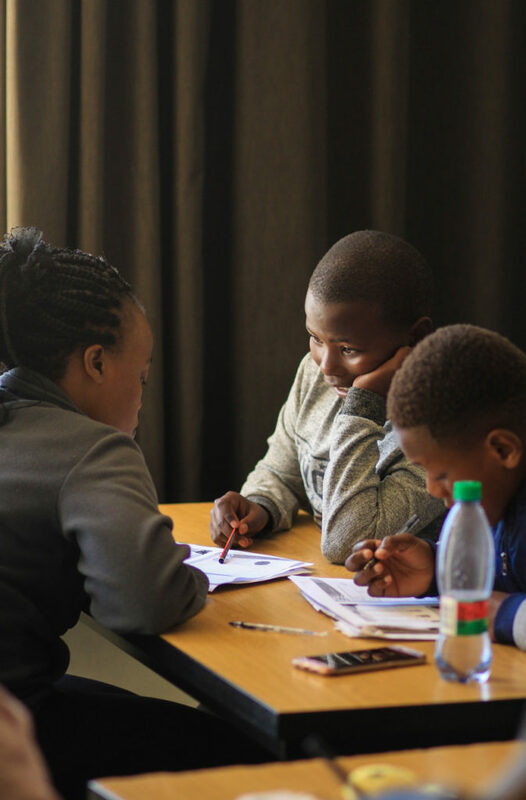 Primary school children of Rhodes University support staff members (children between grades 1-6) receive educational support through tutoring twice a week, on Wednesdays and Saturdays. 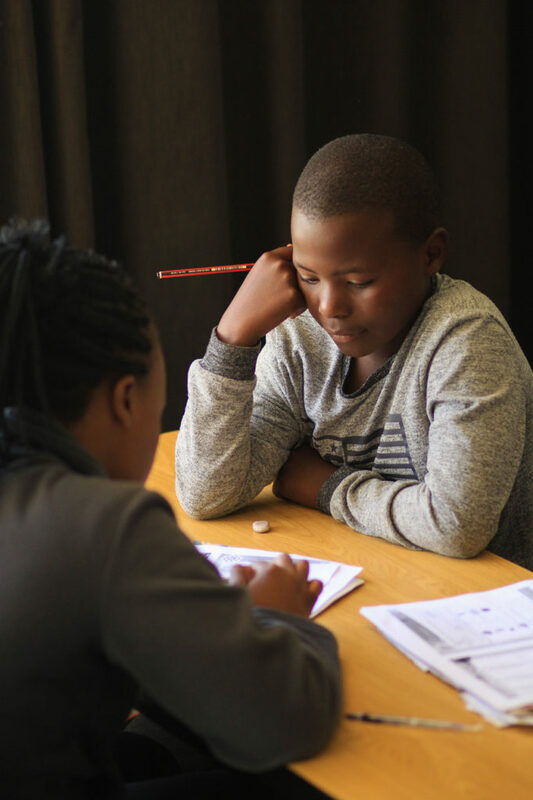 Rhodes University student Valerie Ndlovu (left) tutoring a grade 6 learner. 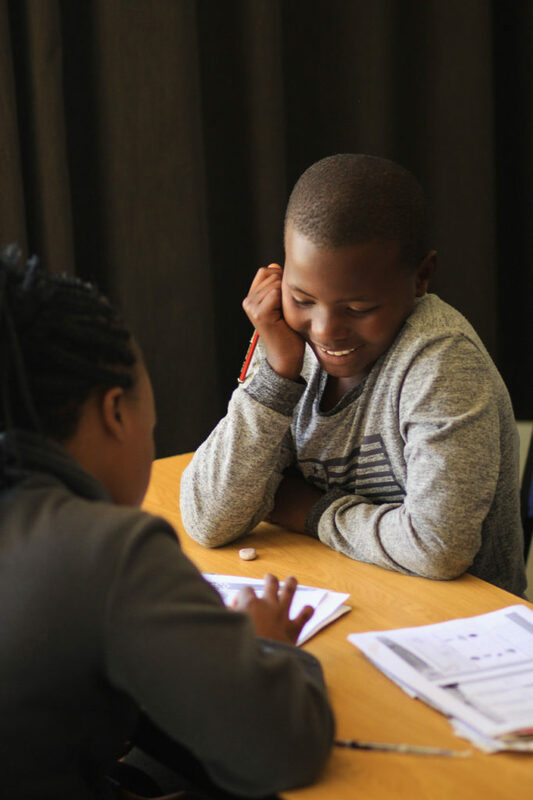 Rhodes University student Londeka Hlekwayo (left) tutoring a grade 5 learner, Mihlali Ralo (right).